hard to walk heavy, up and down the stairs to smooth the movement to support the painful knee ... Such. It is the supporters that have been devised on the basis of the theory of taping doctor. Taping line is stable wrapped tightly up, down, left and right of the knee joint. And because it helps the movement of the muscle further, it is also easy to bend and straighten. 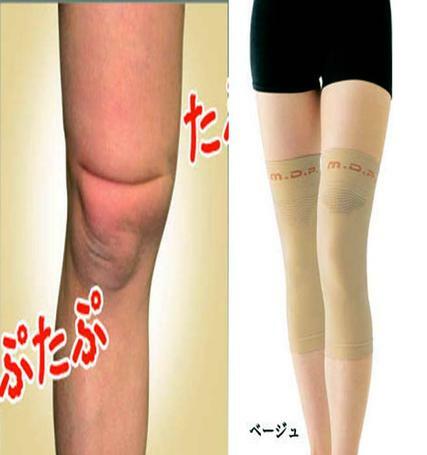 Strength support line is pulled to the inside the knee, knee tend to be outward and support firm.In addition, were stimulated with uneven wave processing the meat was Tsu dub over-the-knee, it also supports neat. I do not attract attention hard to be stuffy in thin, even if worn under the bottom.